Perfecting your swing and navigating the course is hard work! 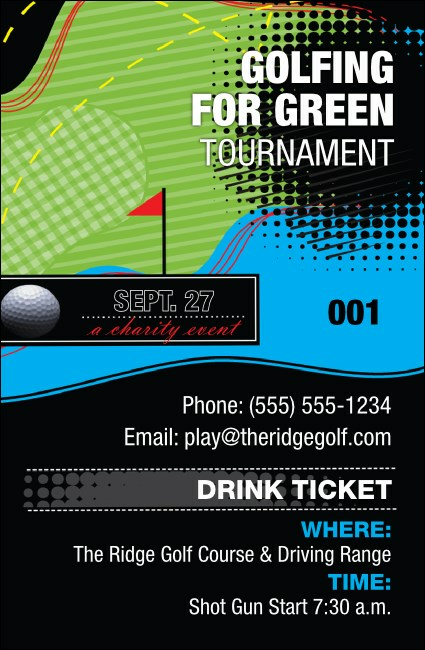 Give your guests a break and let them wet their whistles with Golf Water Hazard Drink Tickets. These colorful ticket templates include a contemporary, abstract design of a golf course with a modern theme, and come with sequential numbering for extra security. Sink your putt with golf-themed Event Kits from TicketPrinting.com.